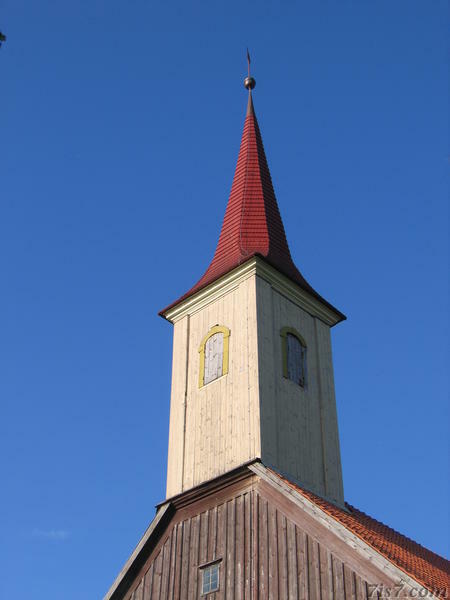 Village church with a wooden tower. 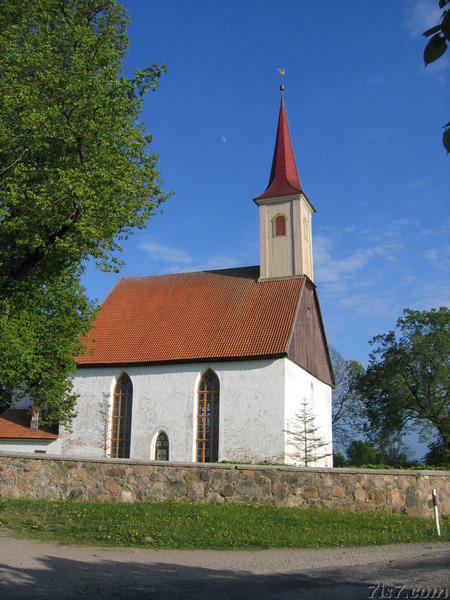 Located in Neemisküla near Võrtsjärv. The church as seen in the landscape from the road approaching from the south. 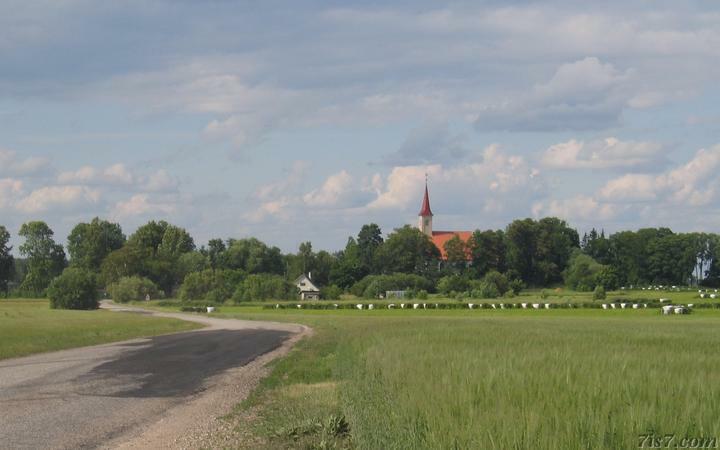 A typical Estonian countryside view. Location: 58°17'30"N 26°10'40"E on: Google Maps, OpenStreetMap, Maa Amet.